What is a Patient Participation Group? Spring Gardens Group Medical Practice would like to inform you of a new service the practice has recently launched which enables you to view and order medication as well as book appointments online. With Patient Access,you can now access the surgery at home, work or on the move – wherever you can connect to the internet. What’s more, because Patient Access is a 24 hour online service you can do this in your own time, day or night. Patient Access replaced our old system of ordering prescriptions via our website or email from 01st March 2014.Signing up to Patient Access is available now the next time you visit the practice just let our reception team know you want to utilise the online facilities and they’ll hand you a registration letter. Then simply visit www.patient.co.uk/patient-access,click register, answer a few questions then you’re done! For all android and iOS users, a Patient Access app is also available free on your mobile. Remember that after 01st March 2014 this will be the only way of ordering medication online so don’t delay, register for Patient Access today! 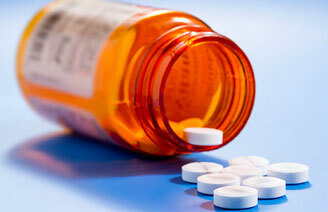 You can order your repeat prescription directly through this site. Click on the link above and complete the simple registration form. Drop your prescription request into the box in the main reception area. We aim to provide your prescription in 48 working hours (please make allowances for public holidays and weekends). Prescription prepayment certificates (PPC) are available in England and they can save you money. The current prescription charge is £9.00 (£16.10 per pair of elastic hosiery). A three monthly PPC is £29.10. This saves you money if you need four or more items in three months. A 12 month certificate is £104.00 and saves money if 13 or more items are needed in 12 months. PPCs are available by 10 monthly direct debit instalment payments. The prescription prepayment certificates allow anyone to obtain all the prescriptions they need for £2 per week. Find out more about the prescription prepayment certificate. Medicines administered at a hospital or an NHS walk-in centre. Medicines personally administered by a GP. Medicines supplied at a hospital or Clinical Commissioning Group (CCG) clinic for the treatment of a sexually transmitted infection or tuberculosis.